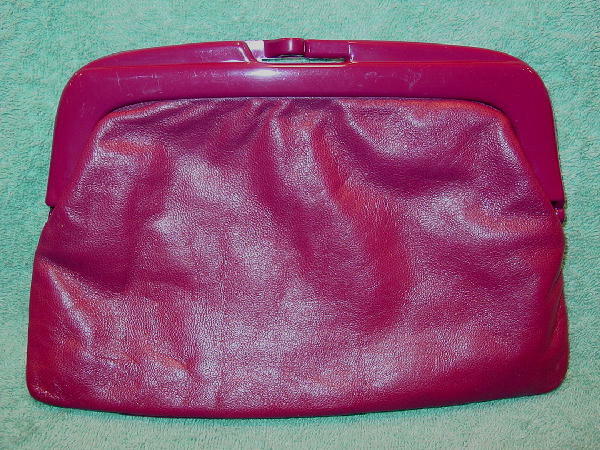 This vintage red-wine leather clutch purse has lucite (plastic) rims and bypass closure. 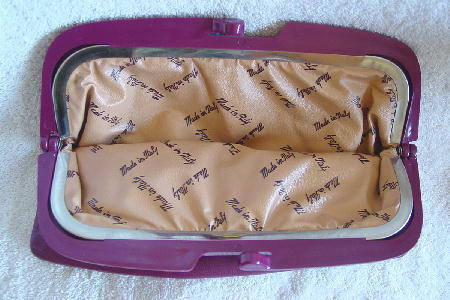 The lining is in a pale cantaloupe color with Made in Italy written all over it. The lucite has some scuff marks.